I think the review The Reviewing Shelf gave Second Time Around may be one of the best reviews I have received as of yet and I was so happy to have read it. I just checked my sales records and so far in the last week or so Second Time Around has been downloaded 165 times! I’m so happy. Now if those of you who have downloaded it and have read it are currently readingthis, please let me know what you thought of it. You don’t have to review, just send me a email or so ething. I always love hearing what you guys have to say, it what helps me become a better writer. 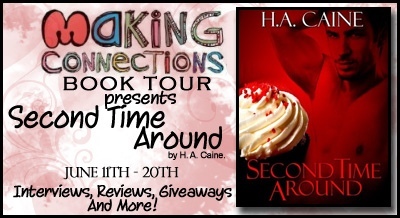 Second Time Around Blog Tour! will be going on it’s blog tour. This blog tour is organised by the wonderful Tana over in the Making Connections group on Goodreads. The tour will be being hosted by volunteers from the group. The tour will start June 11th and end on June 20th. As with my previous blog tour, for From Love and Pain, I will be doing the daily updates on where to stop and what is going on. From Love and Pain Blog Tour WINNERS!! Note to Grand Prize Winners: This giveaway was U.S only. If for any reason You did not inform me that you were Int. Your prize will be forfeited. If this happens, I will give you a ebook copy instead. Thank you.